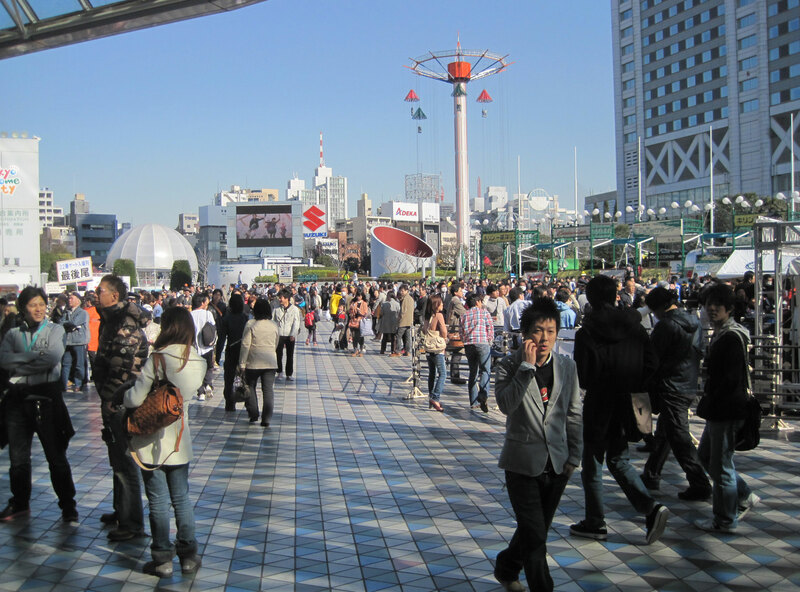 If you want to watch a baseball game but also want to visit an amusement park, the Tokyo Dome is your spot. With Opening Day out of the way, Game 2 of the Opening Series should be just another AL West divisional battle, right? Sure, if other AL West divisional battles are played in the world’s most populous city and in front of 42,000 fans who have no idea when they’ll get to see Ichiro and friends in person again. Forty minutes before game time, it looks like we’re in for another packed house here at the Egg. Skies overhead are gray, chances of a rain delay appear pretty slim. I still don’t see any signs of an outfield band, but ushers are handing out inflatable thunder sticks at the stadium gates. Rest assured — ears will be ringing by the seventh-inning stretch. Casper Wells is all he's cracked up to be. The atmosphere around BP today was a little more “business as usual” than last night. 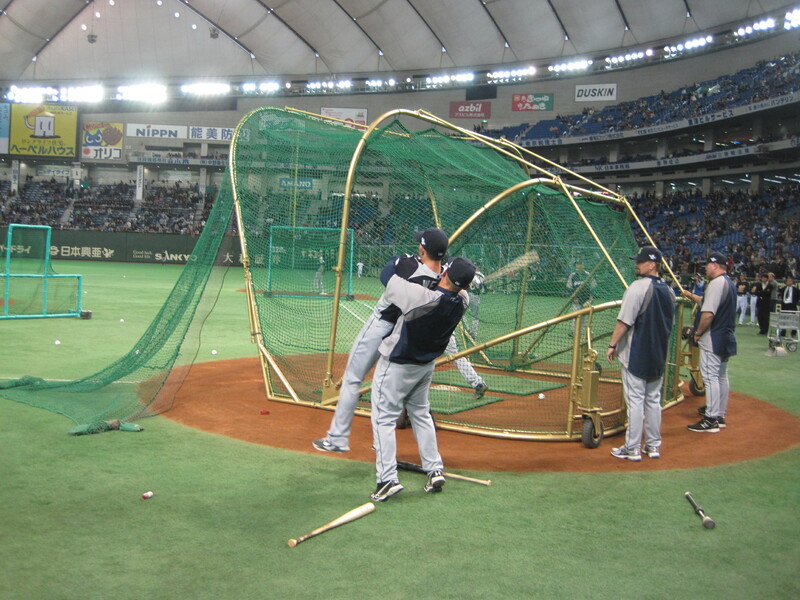 Munenori Kawasaki practiced his breaks down the third-base line as teammates took cuts in the cage. 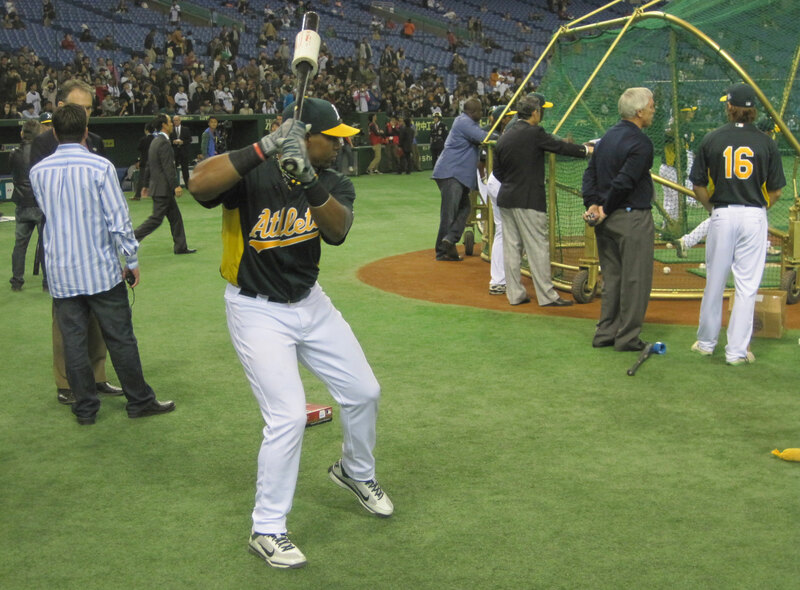 Yoenis Cespedes fine-tuned his swing behind the plate. He later provided roughly 700 BP souvenirs for fans in the left field bleachers. The air only had about 90 percent of last night’s crackle, and the field only had about 75 percent of the suits.